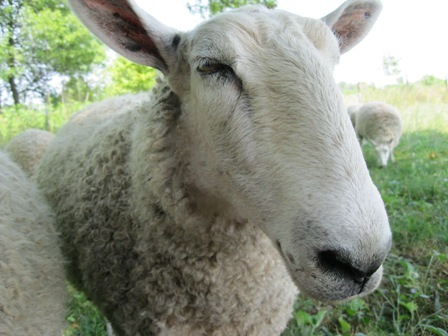 Sheep + Heat = Unhappiness. 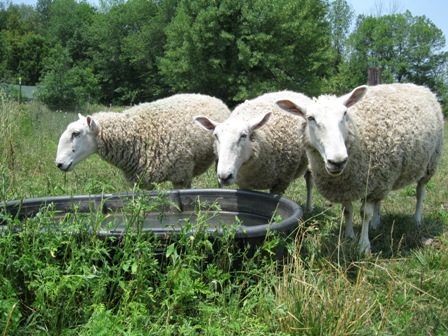 As Indiana makes its way through another week of excessive heat warnings, my sheep are beginning to wilt. We didn’t have a drop of rain at the farm for most of May and June and the pastures have been dry and unproductive. The sheep were not happy with the situation, but tried their best to remain positive by learning new tricks—unlatching gates, knocking all five hanging grain feeders off the fence twice a day, etc. Clever Jane (see final picture) was involved in all this tomfoolery, no doubt. Mutiny being hatched around the watercooler. Now that we have had some rain, heat in the upper nineties has promised a very humid week. 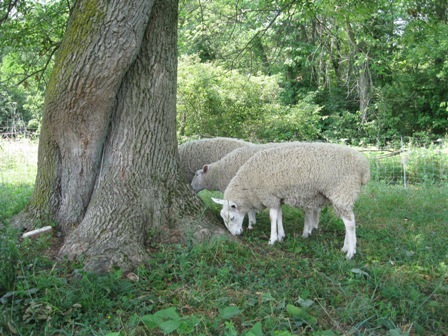 This morning, I moved the sheep to a new pasture with a large, shady tree near the woods. 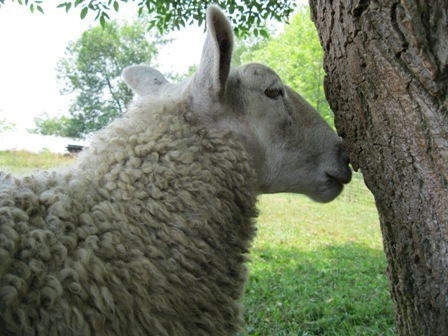 As the sun sets in the afternoon, deep shade from the woods moves towards the pasture to offer our wooly friends some respite. A lovely old Ash to investigate. But, they are still not pleased, as you can see. Jane peering suspiciously out of the corner of her eye. I figured myself out-finally. 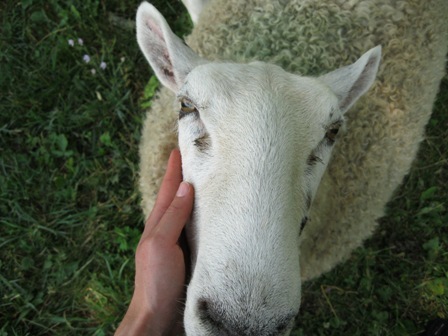 I’m a sheep with proclivities towards tomfoolery.